Holiday parties are upon us and we have to figure out what to do. So many events with so little time, festive cheer but confusion abounds. The lack of definitive dress codes is a problem for modern men because there is so little distinction left in what to wear. What does “Business Casual” really mean? 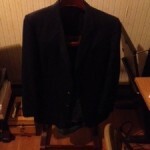 If I wear dark denim and a blazer, is that business enough? If I wear a tie, does that take me out of “snappy casual”? Here at Southern Ash, we’ll look two components to attending a great holiday get-together – what to wear and what to bring. Good manners dictates that you should bring along something to the party, and I’ll focus on a bottle of adult beverage for the host and event. My assumptions for the series are a gather of 8-12 people including at least 3 couples (spouses, significant others, or just evening dates). We already covered the casual get together with a few friends so now you are heading to a slightly more formal holiday dinner party. Perhaps these are not the old college friends, but a group that found itself together in the past few years. There is a full meal and plans to enjoy an evening of conversation and company. One person or couple is hosting and setting the table for the rest, though you may be bringing along a side to supplement the evening’s food or a dessert. You need to step it up just a little bit compared to the casual get together. Where you could just toss on a sweater over an oxford cloth button down for the casual lounging get together, there is a full meal happening so you want to look a bit nicer than that. At the least, you want to make it look like you put some effort into the night like the person or couple that just spent the past few hours cleaning and cooking to have you over. 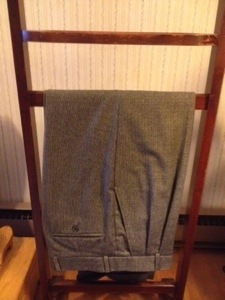 This is the defau lt outfit for many men today for a good reason. It is easy and can be coordinated without much trouble. Step 1, get your dark denim out. We are beginning with your denim here because we want to make sure that the blazer isn’t too close in color to the jeans. When you have them too close in hue, it looks like you tried to make them match and failed. 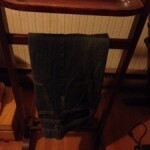 I don’t have too many jeans, so these are the dark denim I’m going to work with. 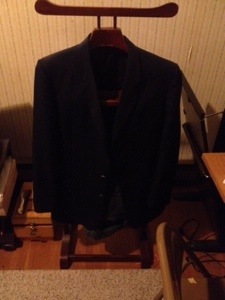 Now we add a blazer! 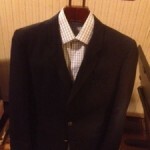 I am not big on black blazers as the formality of the black jacket seems to cut across the more casual appearance of a blazer. Here, we go with a solid blue nautical style blazer that clearly contrasts with the jeans. We’ll go with a bit of pattern here, though you could just as easily go with a solid colored shirt for your tastes. 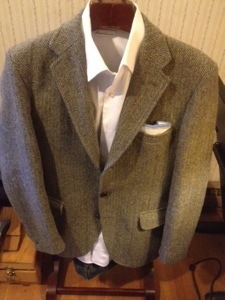 We will have a crisp and clean pocket square to accentuate the outfit. 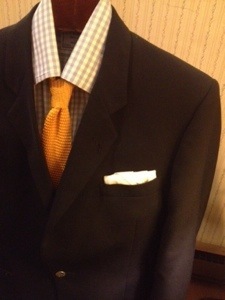 Use the plain white square fold here just to set off the rest of the outfit if your shirt has a pattern and color to it. 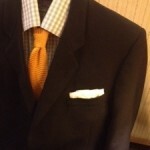 Conversely, if you have a solid color shirt under your blazer, look to a patterned or textured pocket square like checks or paisley to add more visual interest. 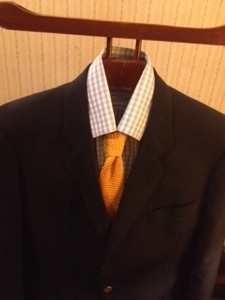 For the tie, this is a great place to use the ever so in again knit-ties. 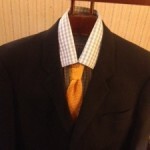 A knit tie will add texture to your outfit and have a definite sense of putting in the effort without trying too hard. Stick with the classic four-in-hand knot everyone learns as a teenager and slightly loosen it for rakishness to seem nonchalant. Keep it casual with desert boots and you are good to go! We start with the same dark jeans and solid colored shirt above, but you are not that into neck ties. 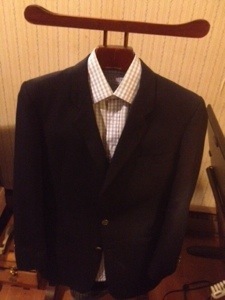 Instead, we replace the blazer with a sportcoat, preferably in tweed. 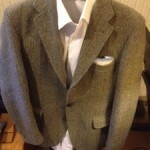 It has the texture and visual interest to balance the outfit and don’t forget your collar stays! 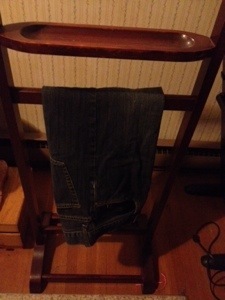 Another way to put this together is to up the ante on the pants. 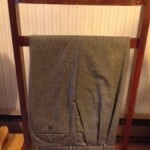 Here, we use a grey flannel pant that is nice and warm but has colors running throughout it. 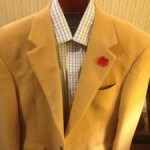 On top, the camel hair sportcoat is a seasonable classic. If you have one, even if it is cheap, now is the time to pull it out and wear it. 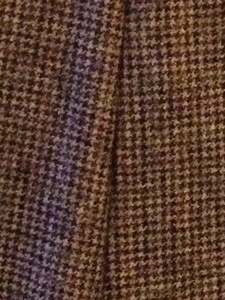 Since I have a tan camel hair jacket, I went with a plain red pocket. 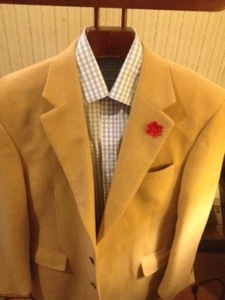 If you have a red camel hair jacket, you should think of a color that coordinates with the highlights in the pants. 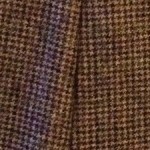 Here, with the blue and green accents, a white pocket square with light blue edging would tie the entire thing together. 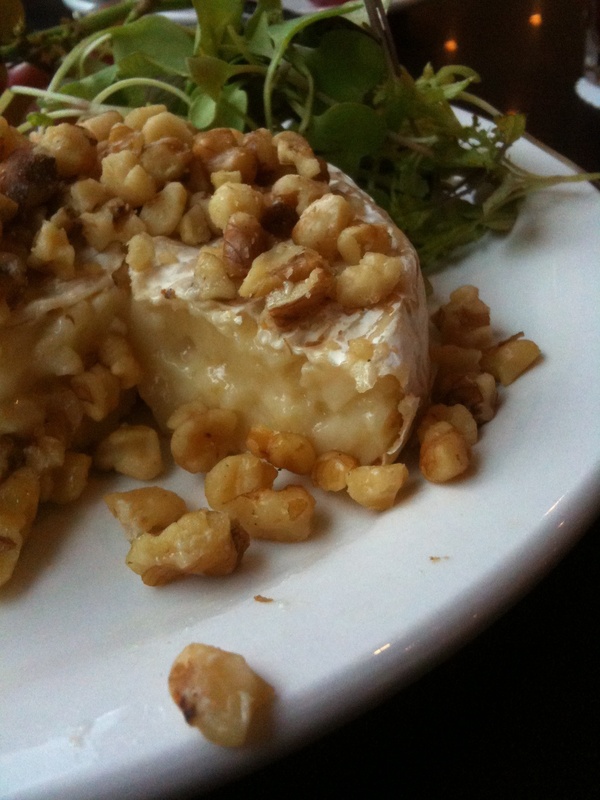 If you are eating, the wine choices should be tasty options that pair well with a wide variety of food. If you are inclined for a red, I would consider Beaujolais. Now, Beaujolais nouveau may still be on the shelves and is a sweet and familiar wine, but maybe spring for a few dollars more and look to the Beaujolais cru wines that are out there. 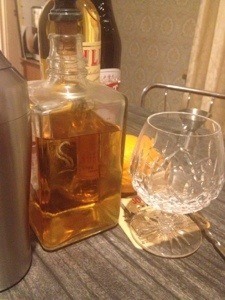 It has the same lighter body and fruity notes but doesn’t have as much sweetness as the nouveau. This had been one of my little tricks for wines to grab, but the Table Matters broke the secret so I may as well share here. Jason Wilson certainly writes it up better than I could so go read <a href=”http://tablematters.com/2013/11/08/motley-cru/“> his piece on why cru beaujolais is a great wine choice</a> and then come back. If you can’t hunt down one of those, look for a blend of Spanish grapes which should be interesting but not as pricey as other options. Ask your liquor store attendant if you need suggestions. If you are thinking a nice icy white for dinner, look towards Rieslings. Especially pay attention to the German rieslings have you will find more minerality balancing the fruitiness. A lot of people won’t reach for those immediately for that reason, but if you are matching it with food the flavor will give the wine something to act against and in compliment to the food deepening the flavors of both. 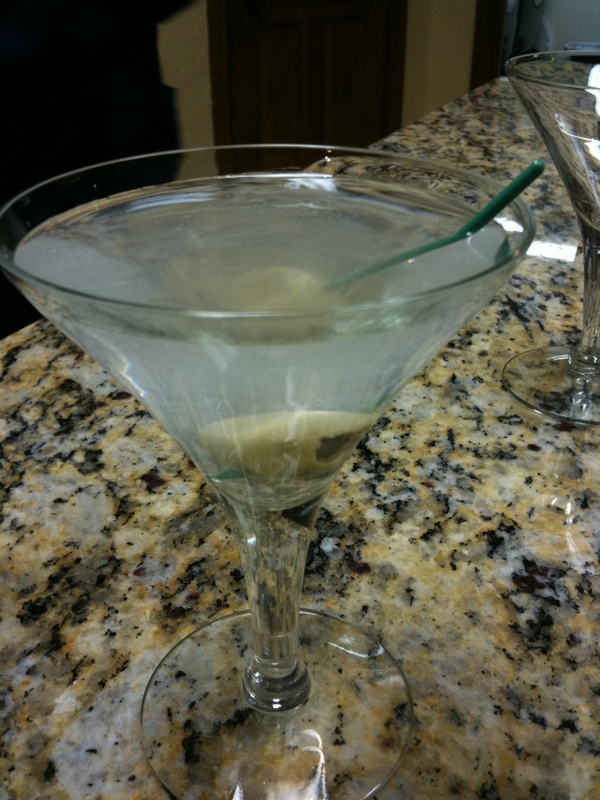 Liquor – Let’s look for something a bit more upscale than the casual get together. Somebody slaved over an oven and cleaned a house from top to bottom for you so the least you can do is put together a pleasing bottle to bring over. 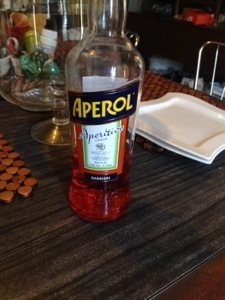 If we dip into the apertif territory, try a bottle of Aperol. This is a lighter, more citrusy cousin of my beloved Campari. 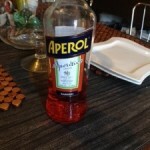 The last dinner party I went to, Aperol became part of the showcase when I mixed apertifs (Yes, blog post coming) and were a hit around the table. Another liqueur option would be to bring something for after dinner like limoncello because bright citrus flavors in the dead of winter can liven any evening. I make my own limoncello (maybe I’ll share most of the recipe later), but there are several brands available. An after dinner bourbon can be a big winner, though I personally go for rye more often. The local Rocktown Distillery Young Bourbon is a bit tight as just a sipping bourbon because of its young age but larger brands like Bulleit are fantastically smooth and available locally around $30 for a fifth. Let us know what you like to bring to a dinner party, especially around the holidays in the comments.